Just when you think that you have heard all of the asinine ideas possible about US involvement in Afghanistan, out comes one that is so hideously ridiculous that you must assume the authors are demented and writing from a well-secured asylum. The quote below comes from an article about the future of US involvement in Afghanistan that was in the USA Today Network on 14 July 2017. The article discusses several US options in Afghanistan, but the one that takes the cake is the brainchild of two champions of the war in Iraq, who — as Tucker Carlson correctly said about Max Boot — can be relied on to propose ideas that will start unnecessary and always losing wars for the republic. The article’s authors are Michael O’Hanlon, an analyst from the Brookings Institution, who was orgasmic over invading Iraq, and the former general/now-felon David Petraeus, who lost the war in Iraq and helped lose the one in Afghanistan The article refers to some recent work by these two brain-dead beauties. Mr. Trump, these two men are war-mongering, elitist, money-grubbing idiots. There is no need for the United States to participate in “generation-long fight against extremism” that is centered in Afghanistan; indeed, there is no longer any plausible reason for America to be engaged in any war in Afghanistan. US military forces have been there since October, 2001, and the security situation in the country is far more in favor of the Taleban — and increasingly the Islamic State — than it was 16 years ago, not even Kabul is secure. 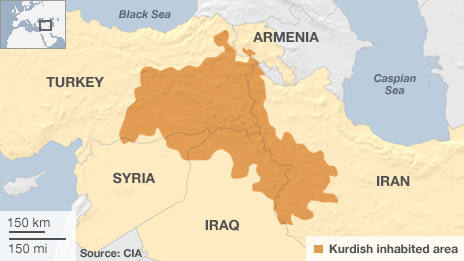 US Thinking on Arming the Kurds: Complex, Intricate, Nuanced, or Just Plain Stupid? We are halfway through May, 2017, and it seems to be a month that again highlights the dearth of commonsense in the minds of most of those who are responsible for conducting the republic’s foreign and domestic affairs. On this score, one event merits special notice, namely, the arming of the Kurds. This decision will eventually have such a widespread and disastrous impact on the Middle East region that the interventionist diplomats, media, generals, and academics who advised President Trump to arm the Kurds will have to fall back on a paraphrase of that old Iraq-War, Bush lie, “We did our best and the calamity that resulted from our decision to arm the Kurds is a case of unintended consequences.” When the worst occurs, anyone with a bit of commonsense will recognize that the failure, destabilization, and additional war that has resulted from arming the Kurds was something that (a) was perfectly and easily predictable and (b) another long step into a fatal swamp in which America has nothing at stake save the feelings, sensitivities, and ardor for lucre of the already rich American governing elite. But first, take a quick look at these two maps. As can be seen, there are substantial Kurdish populations in Syria, Turkey, Iraq, and Iran, and, at least in Iraq, Kurdish territories sit upon enormous oil and natural gas reserves. Each of those four nations has long feared the Kurds’ strident demands for an independent Kurdish state, their fighting abilities, and their fiery nationalism. As fear always does, the nations’ fear of the Kurds has led to their economic, social, linguistic, and – at times — military oppression by each government. In short, Syria, Iraq, Turkey, and Iran have long seen their Kurdish populations as malcontents bent on independence and so a threat to their territorial integrity. Last time we discussed your refusal to abide by the Constitution’s hard-and-fast war-making provision, a decision that merits — as it did for most of your post-1945 predecessors — impeachment proceedings. Waging war in the manner you did in Syria is the work of an absolute monarch or a dictator, not that of a popularly elected president of this republic. –They and their predecessors have not won a war since 1945. In truth, they have won nothing in the most war-filled 72 years in American history. –They have regularly betrayed the military men and women entrusted to their care by American parents by taking those troops to fight in wars that neither they nor their political masters intended to win. I do not know of a single case, since 1945, when a general officer resigned and told the citizenry that he did so because he refused to lead their soldier-children into a war no one meant to win, and in which the rules-of-engagement made those soldier-children targets rather than killers. A central concern of the Founding generation, when writing the Constitution, was to ensure that no one man, or one man and his clique, could take the republic to war. To that end, the Constitution delegates the citizenry’s power to declare war solely to its servants in Congress, and, in doing so, uses language that makes it clear that the Congress cannot delegate this power to the executive branch of the government. The ability of a president to order military action was — and is — tightly limited to instances in which the United States is attacked or, perhaps, if a clear threat must be preempted. Since 1955, however, every president and every Congress have acted in clear and deliberate violation of the Constitution’s allocation of war-making powers. In 1955, the Congress passed a resolution — called an “Authorization for the Use of Military Force” (AUMF) — that allowed President Eisenhower to do what he wanted, when he wanted to do it, with U.S. military forces in the defense of Formosa (Taiwan) against Mao’s China. Later, the Vietnam war began with another AUMF, and every other U.S. war since Vietnam has started with one, save for those which the president started off his own hook — the Obama/Clinton Libyan war, for example, — without even bothering to seek an unconstitutional delegation of the war-making power from Congress. Your 6 April 2017 attack on a Syrian military airfield/chemical-storage depot, Mr. President, is the latest example of this unconstitutional war-making. The barrage of 60 cruise missiles — worth about $5.5 billion — was, as usual for the U.S. military, a feckless exercise in concrete-smashing. As in Bill Clinton’s Serbia war, the national government attacked a state that had not harmed the United States, and in which the republic has no genuine national interests at stake. All of this was done via the decision and then orders of one man — advised by his unelected advisers — for the U.S. military to conduct an unconstitutional act of offensive war, as if the republic is an absolute and so lawless monarchy. Now that Mr. Trump has vowed that the concept of “America First” will be at the core of his administration’s foreign and domestic policies, he should begin to tell Americans what he intends to do make that pledge a reality and why it needs to be done. He should do this before his enemies — and America’s — can turn the phrase against him. On MSNBC this week, for example, Mr. Chris Matthews asked if Trump “was trying to make us mad” by using the term “America First”. Mr. Matthews said that the term refers to Americans who wanted no war with Germany in 1939-1941; he did not mention Japan, probably because it would blur the damning parallel he intended to draw between Mr. Trump, the America First movement of 1939-1941 and the Nazi Germany’s treatment of Jews. Mr. Matthews, like all on the left, is a historical ignoramus. He demonstrates that status, in this case, by not knowing that the great majority of all Americans in 1939-1941 opposed getting into a European or Asian war that did not concern our vital national interests, and would not until Imperial Japan attacked us at Pearl Harbor and Germany declared war on us later in December, 1941. After those events, most America First members fully supported both wars and participated in the war efforts to defend America. Even Colonel Charles A. Lindbergh – whose reputation and historical importance were ruined, then, by Roosevelt and his coterie, the British, and the Jewish-American elite, and, now, by Israel First and those it intimidates and bribes – risked his life in the war as a test pilot for new US military aircraft, and as a volunteer guinea pig for testing new means of protecting pilots and aircrew from the debilitating impact of high-altitude flight. Three of the US national government’s self-imposed and surely lethal handicaps in dealing with the Islamist threat are (a) a fixation on looking at the problem in a state-by-state manner; that is, what do we do in Iraq? what do we do in Afghanistan? what do we do in Libya? etc. ; (b) an enduring but long-disproved assumption that in its war with Islam the West has time its side; and (c) an addiction to an unwise, unnecessary, and bankrupting interventionism that is the main motivator of the international Islamist movement, a phenomenon which was fathered and is still nurtured by the West’s so-called “allies and friends,” Saudi Arabia, Kuwait, Qatar, etc. By forming and implementing interventionist policies for each nation-state where an Islamist threat is identified as needing to be addressed, Washington and its NATO allies miss the point that their main Islamist enemies — the Islamic State (IS) and al-Qaeda, and especially the former – think in a regional manner and then design and execute policies meant to establish bases from which they can further expand in a way that advances their ultimate goal of driving the West from the Muslim world and creating an unitary and worldwide Islamic state or caliphate. Whether or not such a state can be created is an open question, but for the time being the subject can be left for academics to endlessly, theoretically, and inconclusively debate, thereby leaving the sane to try to defend the United States. What is important, at the moment, lies in the quite inexplicable inability of US and NATO policymakers to see what the Islamic State is up to in terms of its regional planning, or how that planning is not only immune to but fueled by the relentless, seriatim intervention of the West in each Muslim country that displeases it – excepting, of course, the Muslim tyrannies the West fawns over, protects, and is bribed by. (NB: This is not to argue that a multi-Muslim-nation intervention by US-NATO forces is needed.